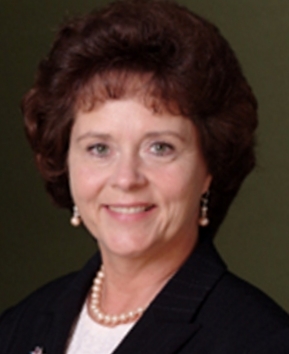 Sue McCormick, then head of the Detroit Water & Sewerage Department, fought the creation of the Karegnondi Water Authority tooth and nail. DW&SD faced the prospect of losing a very lucrative victim customer, the bankrupt City of Flint, which was paying $ 22 million per year in tribute to the City of Detroit. McCormick went so far as to offer Flint a price reduction, the first ever offered by DW&SD. Flint rejected two ‘final offers’, knowing that they would be followed in time by scorching price increases. McCormick retaliated against Flint’s joining the KWA by immediately raising the sale price of DW&SD water to ridiculous levels. Flint then opted to draw Flint River water rather than succumb to DW&SD’s extortion. Cue the Flint water fiasco. Since 2013, the DW&SD assets outside of the City of Detroit proper have been leased to the Great Lakes Water Authority in a 40 year deal that was part of Detroit’s Plan of Adjustment to exit bankruptcy. The GLWA now pays the City of Detroit about $ 100 million a year under this triple net lease. Anyone who subscribes to the ‘aging infrastructure’ theory of Michigan’s current malaise must admit that the $ 100 million a year lease payments to the City of Detroit are another fee as tax evasion of Headlee. The DW&SD assets leased were worth far less at current interest rates, even by their own extravagant book valuation. But the big government advocates peddling the aging infrastructure meme also supported the GLWA lease agreement because the money was essential to get Detroit out of bankruptcy. Money triumphs over philosophical congruence every time among big government advocates. 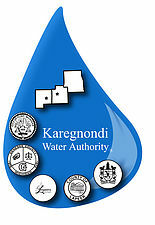 The Karegnondi Water Authority first issued $ 220 million in bonds in 2014 to be paid back by the Genesee, Lapeer and Sanilac county communities which will purchase water from the KWA. $ 65 million in additional bonds have been issued since for a total of $ 285 million. A portion of the KWA’s bonds are secured by the general obligation pledge of the city of Flint, but the entirety of the bonds are secured by Genesee County’s general obligation pledge pursuant to a provision in the financing contract among the KWA, Genesee County, and Flint. Flint’s share is about $ 100 million, 35% of the total $ 285 million in bonds issued by the KWA. Mayor Weaver confirmed Flint’s plan to purchase its water from KWA exclusively as recently as June 2016. Construction of a pipeline from Lake Huron to Flint then commenced and it is now ready to ship raw water. The Weaver/McCormick deal gives GLWA rights to the KWA water which Flint would have purchased, but to whom is GLWA going to sell it? No one. So GLWA is going to extract that $ 7 million a year from their victims ratepayers in other municipalities via the predatory pricing which made DW&SD so popular across Southeastern Michigan. Ms. McCormick figures that most victims ratepayers won’t notice, since they are billed through their local unit of government. Ms. McCormick has thoughtfully concealed her scheme to subsidize Flint with other people’s money. Flint got federal grants in the amount of $ 58 million to upgrade their water plant to process the KWA raw water for use. Obama holdovers at EPA Region 5 are going to allow Flint to divert the $ 58 million to “other water infrastructure needs”. This is on top of the $ 100 million recently approved by the Feds for lead line replacement and about to be disbursed to Flint by our Legislature. This should be more than enough to fund a roaring wave of corruption in Flint. Who needs Rizzo now that a gusher of federal money is there for the taking? Michigan voters passed the Headlee Amendments in 1978 to force our state and local governments to operate within bounds established by the voters. 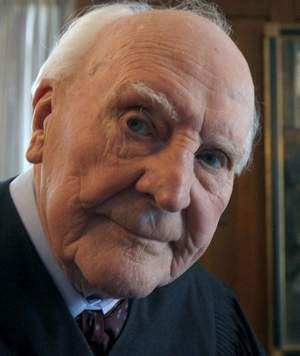 U.S. District Judge John Feikens pioneered the bogus DW&SD stormwater fee in 1979 as the first evasion of Headlee. His goal was to provide DW&SD with enough money for Kwame to steal. Ever since then, government ‘services’ such water and garbage collection have become the new fee as tax frontier for extracting money that citizens will not approve at the ballot box. The administrative state will not allow itself to be frustrated by a mere constitution. The Michigan Supreme Court has repeatedly held these fee as tax evasions of Headlee to be unconstitutional, but their opinions have been limited to the specific cases brought before them by private parties. Michigan’s Attorneys General have never brought such cases to the courts on behalf of citizens, so Headlee is dying a slow, obscure death. It costs a lot of money to advance a Headlee fee as tax case in Michigan courts, starting around $ 500,000. A lot of expert witnesses have to be paid and the administrative state does not give up easily. You wind up fighting your own money. Will the Michigan Attorney General finally take action against this fee as tax Headlee evasion? This case is especially egregious because the ‘fees’ from many municipalities are being sent to another, Flint. These huge infusions of money into shaky governments like Flint’s never end well. If nothing else, the victims ratepayers of Ms. McCormick will be decisive voters in the 2018 gubernatorial election. Bill Schuette would be well advised to consider the fate of the 2016 RTA millage in Macomb County. How might Macomb County voters react to forced subsidization of Flint? Thanks again 10x25MM--I have fantasies of you being gov. or US Senator--just thought you should know this. All those stupid people you named, gather together giving themselves "participation" trophies, when they should be jailed. Thing is, these bobble-heads are not smart enough to have thunk this up and the real damage is that 30 year franchise they created. I believe this kind of spending requires a vote of the people. And the thunkers who thunked this up, being handsomely paid with our money, need to be prosecuted too for willful and intentional fraud. Fraud by a government actor uncloaks governmental immunity, and being a bobble-head is not a valid defense. And, I'd much rather see all that money going to fight the unconstitutional, if not criminal acts of a few. So, 10x25MM, can I help circulate your nominating petitions for US Senator? "How might Macomb County voters react to forced subsidization of Flint?" Well, the ones I've spoken to aren't all too happy about it. Now, if the non-representing "representatives" up in Lansing get that message, is another story altogether. But given the fact that the d's are happy to see another democrat getting bailed out from the results of their ineptitude and the r's are a little too focused on how their spending of our money is somehow better than how we can spend what we have gone out and earned, I'm not very optimistic at that outcome. 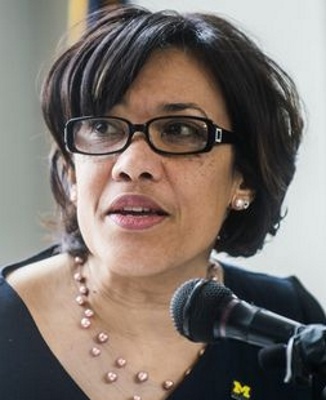 OABTW, this piece does a great job of explaining Karen Weaver's attitude on Guy Gordon's show last Tuesday. Listening to her gush on about it was like watching a pig wallowing in its own waste. It's a short interview, but the kicker was when she skated around how Flint eventually got out of those darn pesky KWA bond payments (go directly to 2:47 to see what I mean).